I recently had a strange experience: An opposing attorney made a motion to exclude my report in a legal case, because I had not written that I held my expressed opinions "to a reasonable degree of psychological certainty." The attorney who had retained me was forced to scramble to obtain a written declaration from me, stating that I did indeed hold my opinions to this level of certitude. I typically do not include this magic phrase in reports, finding it rather obtuse and, frankly, pompous-sounding. So, when my colleague Dr. Worthen expressed knowledge about the phrase, I prevailed upon him to write this guest post. 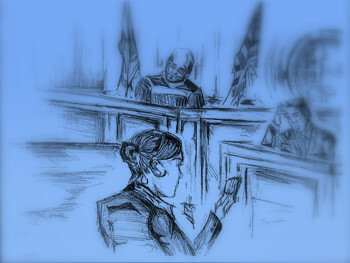 While the phrase was generated by the efforts of Illinois attorneys to comply with legal doctrine, litigators in other states adopted this curious phrase through unreflective imitation of models provided in a best-selling manual on trial technique. The phrase was then incorporated into legal doctrine through the judiciary's uncritical acceptance of this attorney usage. The judicial response to the phrase thus exemplifies the generation of legal rules by chance instead of by deliberate judicial choice. In addition to lacking a clear rationale for its usage, the "reasonable degree of medical certainty" phrase also lacks a consistent definition. 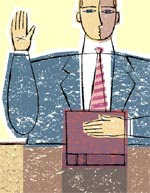 Many professionals who use the phrase in their testimony have their own understandings of the phrase's meaning. For example, some assume that the phrase means that there is a preponderance of the evidence in support of their opinion, or that their opinion is "more likely than not" to be correct. Other professionals require more evidence: They assume that the phrase means that they possess "clear and convincing" evidence for their opinion or even that their opinion is accurate "beyond a reasonable doubt." On the other hand, most testifying experts probably do not have a pre-determined definition for the phrase and utter it simply because they know it is expected. Although the phrase is not routinely used in the practice of medicine, psychology, or other scientific disciplines (have you ever seen a journal article that concluded, "To a reasonable degree of psychological certainty" we found that X caused Y? ), textbooks written to provide guidance to professionals who testify in legal proceedings have offered various definitions. For example, the authors of Effective Medical Testifying: A Handbook for Physicians assert that the phrase means "more likely than not", i.e., 51% probability or more. However, courts have not always agreed with this definition. For example, the Superior Court of Pennsylvania in Griffen v. University of Pittsburgh ruled that a doctor who indicated that there was a 51% chance that a certain action caused an injury did not provide a sufficient basis for testifying to a reasonable degree of medical certainty. In declaring that 51% certainty was not certainty for the purposes of the law, the Court did not indicate what percentage of certainty is required. Frustration with the inexactness of the phrase has led some to call for a clear-cut, agreed-upon definition. The American Law Institute (ALI) declared, in its Restatement (Third) of Torts: Liability for Physical and Emotional Harm (§ 28, Comment e, 2010), that the phrase should be specifically defined to mean that an expert's opinion is "more likely than not" accurate. The ALI reasoned that the standard for "reasonable degree of medical certainty" should not exceed the standard of proof considered by juries in tort cases, i.e., a preponderance of the evidence. Attorneys James M. Beck and Mark Herrmann argue that the ALI standard "dumbs down" expert witness testimony and that the reasons for the proposed changes are faulty in many respects. They argue that the use of "reasonable medical certainty" should be retained and that its meaning should come from the standards for decision-making commonly used in the expert's profession. Surely, however, the phrase is not semantically empty. “Certainty” has clear epistemic connotations and implications for the witness’s opinion, both in terms of his own state of mind, and in terms of the empirical support the witness has for his opinion in the form of reasonably relied upon data, and sound inferences to a reliable conclusion. Subjectively, the witness who utters the phrase acknowledges that he is not speculating and that he believes that his opinion satisfies professional standards for claims of knowledge. A witness who qualifies his opinion with these “magic words” communicates his willingness to put his professional reputation on the line, and to defend the opinion before his peers. Objectively, the phrase conveys the notion of reliable knowledge. To be sure, human beings may not enjoy “certainty” in their knowledge of empirical propositions, but the “reasonable” qualifier makes the entire phrase meaningful and important. While the debate over the definition of the phrase and whether or not it should be used at all will no doubt continue, individual experts might rightly ask, "Well, what should I do if asked to give an opinion to a reasonable degree of professional certainty?" 1. Ask the attorney you're working with if he or she plans to use the phrase in his or her direct examination of you. If so, ensure that each of you understand what you mean by the phrase, so that you'll be ready in the event that opposing counsel or the court asks you to define what you mean by "reasonable professional certainty." It's unlikely that you will be asked to define the phrase but it's better to be prepared with an answer than to stumble and mumble. 2. Make sure that your definition comports with relevant case law in your jurisdiction. For example, in Pennsyvania, you would not want to say, "It means that it's more likely than not" (see above). 3. In terms of how to define the phrase, consider how your profession determines "reasonable certainty." For example, when do you consider an opinion certain enough to proceed with a given treatment (medicine or psychology) or to proceed with a certain construction plan (architecture or engineering)? 4. If you give a numerical representation of your confidence in your opinion, a savvy attorney might challenge you on your ability to determine your own level of confidence with accuracy, citing research on the overconfidence effect. Your best bet is to be familiar with this research and to err on the side of underestimating your confidence. Explanation #1: " 'Reasonable degree of psychological certainty' means that I am 75% sure of my opinion." Explanation #2: " 'Reasonable degree of psychological certainty' means that I found clear and convincing evidence for my opinion." 6. Focusing on the evidence for your opinion is an important distinction because it redirects the trier of fact to the strenth of your argument, namely, the scientific methods and research evidence for your conclusions. 1. The Genesis and Evolution of Legal Uncertainity About "Reasonable Medical Certainty," Maryland Law Review, 57, pp. 380-504, 1998. 2. From An Enigmatic Degree of Medical Certainty by Nelson Abbott and Landon Magnusson. *Guest author Mark D. Worthen, Psy.D. is a clinical and forensic psychologist in Asheville, North Carolina. Visit him on the web at DrWorthen.net.